In this post i will show how to install Very Secure FTP (Vsftpd) and how to configure ftp server in linux Red Hat Enterprise Linux 6 (RHEL 6). Vsftpd is a GPL licensed FTP server for UNIX systems, including Linux. It is secure and extremely fast and it is stable. As an example I will install and configure the vsftpd server and will also transfer files from the clients running on the Windows XP command prompt. How to Install FTP Server in Linux ? 6. Login as ftpuser on other terminal and create a new files named “files”. 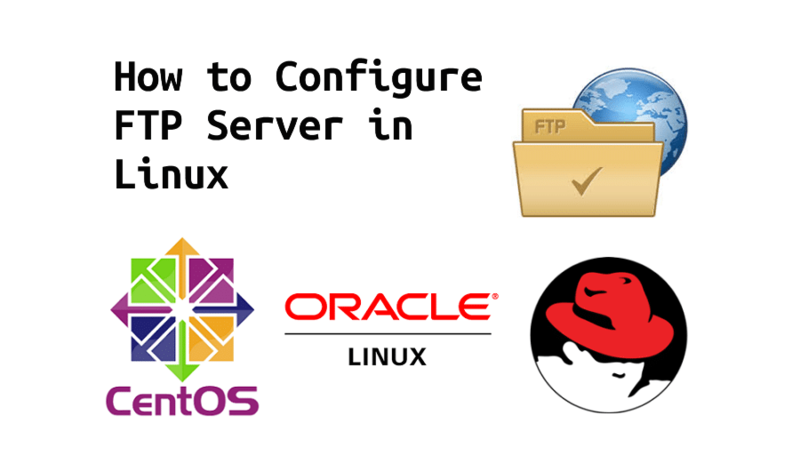 How to Configure FTP Server in Linux ? 9. It’s good to make backup of your original configuration file. 150 Opening BINARY mode data connection for files (42 bytes). ftp: 42 bytes received in 0.00Seconds 42000.00Kbytes/sec. 12. By default root account is not allowed to login the vsftpd server as it’s exist in /etc/vsftpd/ftpusers. 13. Open /etc/vsftpd/ftpusers file. Remove or comment out the line for user “root” and add “ftpuser” instead. Users whose name are set in this file will not allowed to login from ftp. 14. Open /etc/vsftpd/user_list file. Remove or comment out entry in /etc/vsftpd/user_list files. Remove or comment out the line for user “root” and add “ftpuser” instead. Users whose names are set in this file are also not allowed to login from ftp even they are not prompt for password. 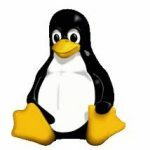 If you encounter any issues on how to configure ftp server in linux, you can put a few questions in the comments below. There are 7 useful linux utilities that you must install on new linux server. 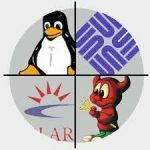 Most Linux distributions are equipped with tons of linux command utility, but if you have installed minimal operating system, all these software will not exist. These tools will very useful in your troubleshooting and will help to find possible causes of a problem. Most of the utilities have the same function in CentOS or Red Hat Enterprise Linux (RHEL). 1. What is wget ? Wget is a network utility to retrieve files from the Web using http and ftp, the two most widely used Internet protocols. 2. What is telnet ? Telnet is a network protocol used on the Internet or local area networks. Telnet is a user command and an underlying TCP/IP protocol for accessing remote computers and very useful for troubleshooting and verify the opened ports. 3. What is scp ? scp also call secure copy, is remote file copy utility between hosts on a network. It uses ssh for data transfer and provides the same authentication and same level of security as ssh. [root@rhel62 ~]# scp root@192.168.2.60:/tmp/VMwareTools-9.2.2-893683.tar.gz . The authenticity of host '192.168.2.60 (192.168.2.60)' can't be established. RSA key fingerprint is 76:78:87:36:44:c1:46:fa:c4:b4:61:4a:e5:b3:be:e3. Warning: Permanently added '192.168.2.60' (RSA) to the list of known hosts. 4. What is man ? man is used to display the manual page for other commands It’s help to explain the functions for the commands that commonly used. The term “man” is short for manual. HTTPS, and FTP protocols, as well as retrieval through HTTP proxies. Wget is non-interactive, meaning that it can work in the background, while the user is not logged on. This allows you to start a retrieval and disconnect from the system, letting Wget finish the work. hindrance when transferring a lot of data. "recursive downloading." While doing that, Wget respects the Robot Exclusion Standard (/robots.txt). 5. What is nslookup, dig, host ? nslookup, dig and host are part of the bind utilities.These utilities are the basic tools for DNS client and DNS server troubleshooting. ehowstuff.com   mail exchanger = 0 ehowstuff.com. ehowstuff.com mail is handled by 0 ehowstuff.com. How to install wget, scpt, telnet, man, nslookup, dig and host utilities ? 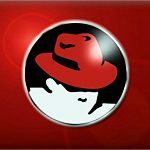 This post will shows how to install VMware Tools on Red Hat Enterprise Linux 6.2 (RHEL 6.2). VMware Tools is a group of utilities that enhances the overall performance of the virtual machine’s guest operating system (OS) and improves management of the virtual machine (VM). This is one of important components in order to provide perfect VM OS. Without the VMware Tools, guest OS performance will lacks some of the important functionality. 2. Right click on the VM, click install VMware tools. to enable the VMware blocking filesystem. OpenSSH is a open source alternative to the proprietary Secure Shell software. It is also the SSH connectivity tools that allows you to remotely login, transfer remote file via scp or sftp. It was created as an open source alternative to the proprietary Secure Shell software. OpenSSH options are controlled through the /etc/ssh/sshd_config file. In order to improve OpenSSH server security, certain default sshd setting need to be change. This post will show you three example to Secure OpenSSH (SSHD) on Linux. This steps has been tested on CentOS 6.3 and may working on CentOS 6.2, CentOS 5.x and Redhat Enterprise Linux 5 (RHEL 5) and Redhat Enterprise Linux 6 (RHEL 6). By default ssh runs on port 22. Hacker would need to know the SSH port number in order to access your system. One of the method to improve security is to change the default port to a non-standard port. That would helps to stop brute force attacks. Add the following entry to sshd_config to disable root to login to the server directly. 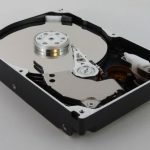 Measuring sequential disk performance is easy in linux as every modern Linux distribution comes with a command line utility called hdparm. Hdparm is a free tool to measure sequential disk performance which is primarily used to tune and optimize disk parameters. It is important to read hdparm man page and perform full backup before using hdparm command line utility. The popular option for hdparm command line utility are -t and -T.
-t is to perform buffered disk read which is the data transfer rate directly from the disk to memory. -T is to perform timing cached read which is the data transfer rate from a memory buffer without reading the hard drive. If hdparm is not installed then follow this steps to install hdparm on CentOS 6.3. Type hdparm without option to get full hard disk parameters as a reference. Usage:  hdparm  [options] [device] .. Note : Substitute /dev/sda with the name of the disk device. Building a new DOS disklabel with disk identifier 0xd29f2d59. "/dev/sdb1" is a new physical volume of "4.99 GiB"
3. With the physical volume created we now need to create new volume group for it. In this case i will give the volume group name vg_data. 10. The newly created logical volume will now mount automatically each time the system is booted. This post covers the steps on how to setup additional yum repository using Webtatic. Webtatic yum repository is a repository containing updated web-related packages for CentOS and Redhat Enterprise Linux (RHEL). Webtatic goals are to provide CentOS/RHEL administrators with the latest stable minor releases of web development/hosting software, which are not provided in CentOS/RHEL distribution minor releases. It’s also serve as an additional installation option for some of Webtatic’s projects. This short guides shows how to quickly check your postfix mail server version. Basically, postfix is a open-source mail transfer agent (MTA) that routes and delivers electronic mail. Postfix is an alternative for Sendmail service which provide the same function. In this post, i will show two method to switching or changing between different runlevels on linux. The steps has been tested on CentOS 6.2. Please note that above command is not permanent and the system will return to default run level after reboot. Let assumed the default run level is 3.